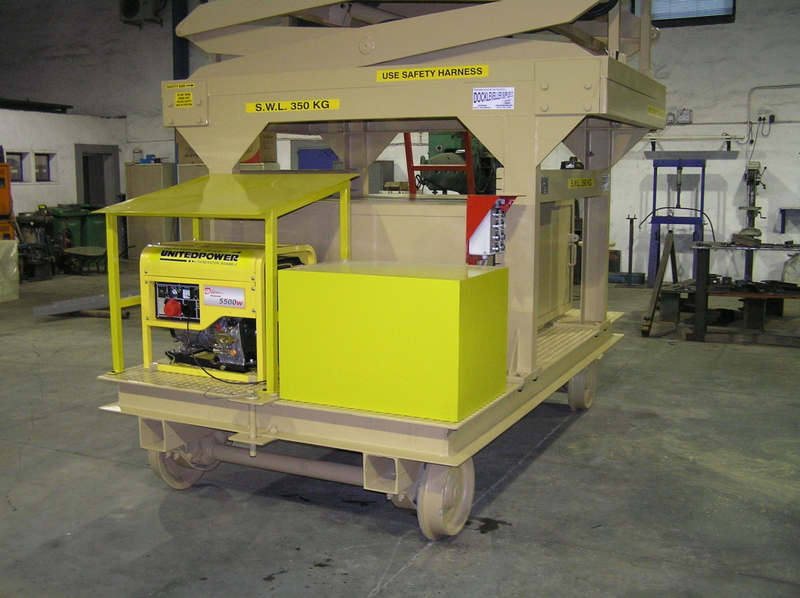 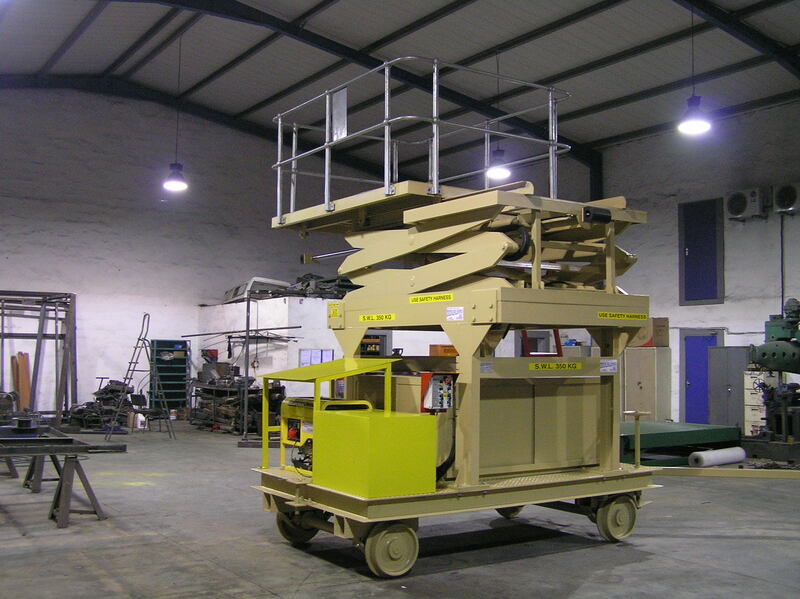 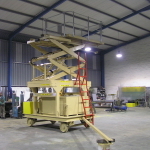 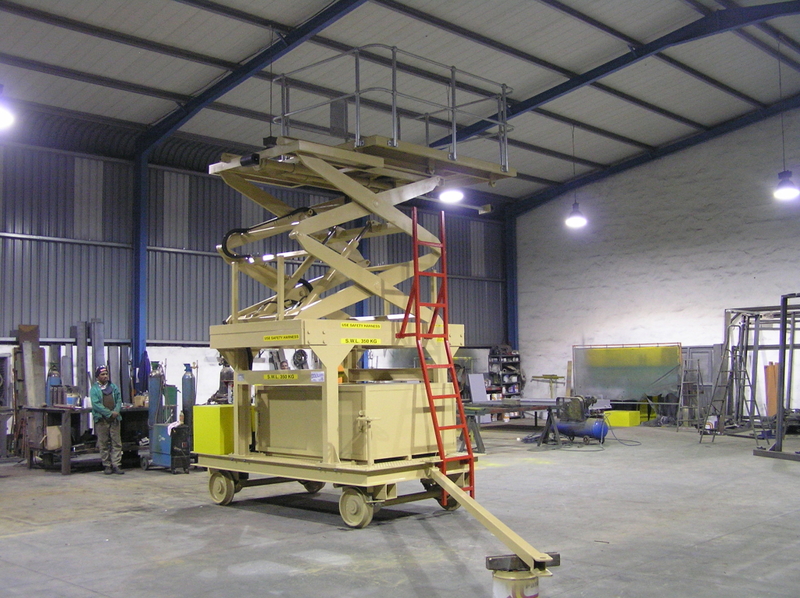 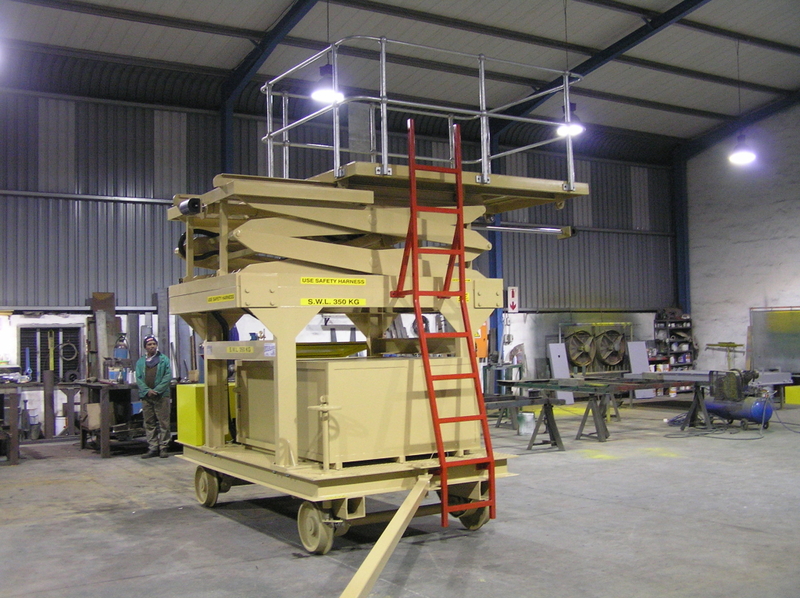 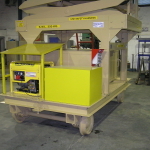 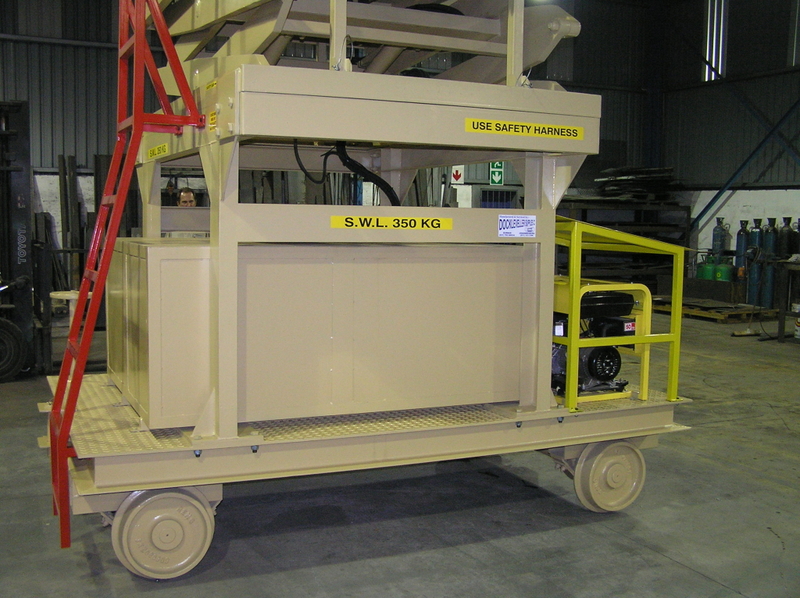 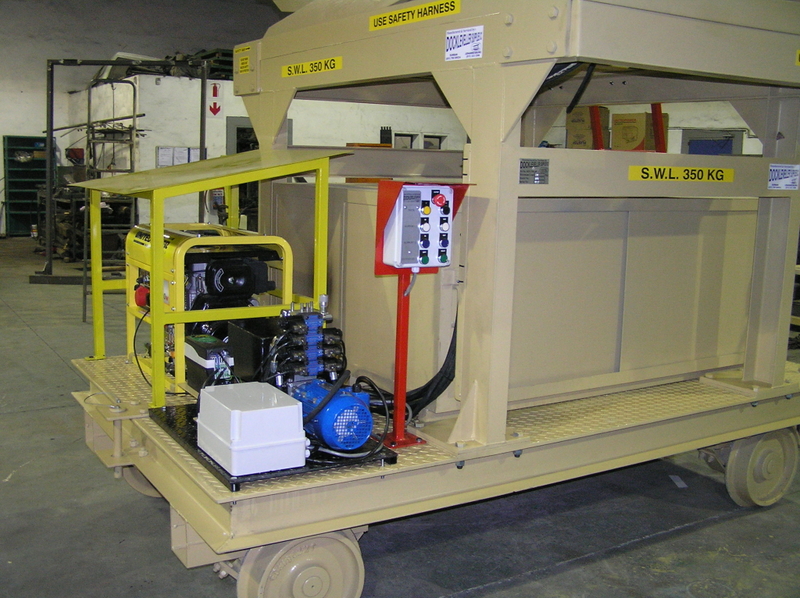 This Scissor lift was designed for the electrification process of the Guatrain. 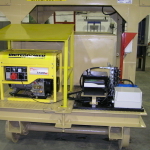 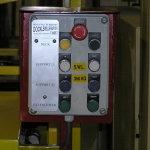 It is used for the installation of the cables in the tunnels and the maintenance. 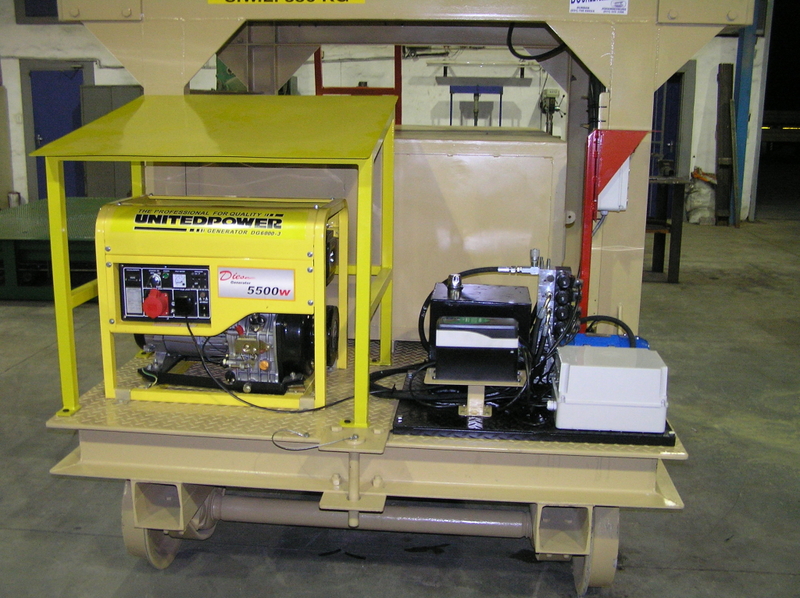 This unit carries it’s own power source in the form of a generator. 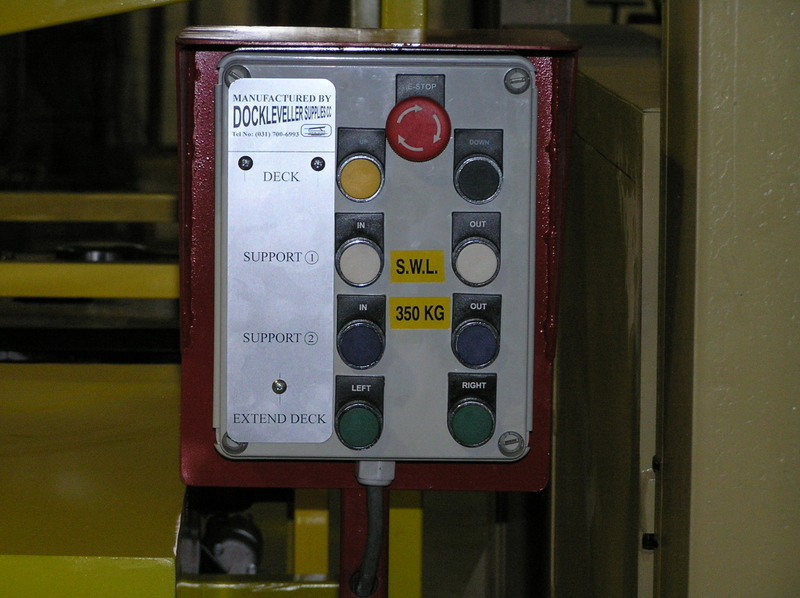 There is a tool locker underneath. 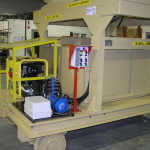 It has a stabilizing arm which locates on the tunnel wall.